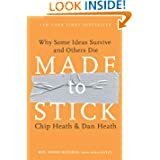 After receiving and sorting through hundreds of responses from media outlets and readers of the blog, the titles have been whittled down to 20 and the most popular books are highly favored. The secret, master networker Keith Ferrazzi claims, is in reaching out to other people. 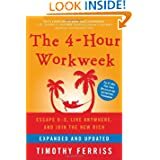 As Ferrazzi discovered early in life, what distinguishes highly successful people from everyone else is the way they use the power of relationships—so that everyone wins. 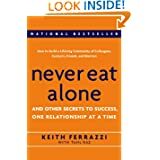 In Never Eat Alone, Ferrazzi lays out the specific steps—and inner mindset—he uses to reach out to connect with the thousands of colleagues, friends, and associates on his Rolodex, people he has helped and who have helped him. Atlas Shrugged is the astounding story of a man who said that he would stop the motor of the world–and did. 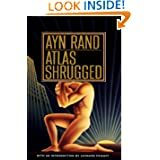 Tremendous in scope, breathtaking in its suspense, Atlas Shrugged stretches the boundaries further than any book you have ever read. It is a mystery, not about the murder of a man’s body, but about the murder–and rebirth–of man’s spirit. Atlas Shrugged is the “second most influential book for Americans today” after the Bible, according to a joint survey conducted by the Library of Congress and the Book of the Month Club. 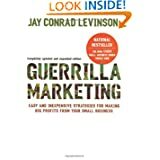 When Guerrilla Marketing was first published in 1983, Jay Levinson revolutionized marketing strategies for the small-business owner with his take-no-prisoners approach to finding clients. Based on hundreds of solid ideas that really work, Levinson’s philosophy has given birth to a new way of learning about market share and how to gain it. 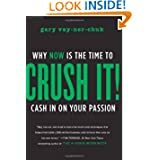 Why NOW Is The Time To Cash In On Your Passion, Gary Vaynerchuk shows you how to use the power of the Internet to turn your real interests into real businesses. Gary spent years building his family business from a local wine shop into a national industry leader. Then one day he turned on a video camera, and by using the secrets revealed in this book, transformed his entire life and earning potential by building his personal brand. By the end of this book, any reader will have learned how to harness the power of the Internet to make their entrepreneurial dreams come true. Step by step, CRUSH IT! is the ultimate driver′s manual for modern business. The visionary CEO of Zappos explains how an emphasis on corporate culture can lead to unprecedented success. Pay new employees $2000 to quit. Make customer service the entire company, not just a department. Focus on company culture as the #1 priority. Apply research from the science of happiness to running a business. Help employees grow both personally and professionally. Seek to change the world. Oh, and make money too. Sound crazy? 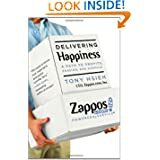 It’s all standard operating procedure at Zappos.com, the online retailer that’s doing over $1 billion in gross merchandise sales every year. In 1999, Tony Hsieh (pronounced Shay) sold LinkExchange, the company he co-founded, to Microsoft for $265 million. He then joined Zappos as an adviser and investor, and eventually became CEO. 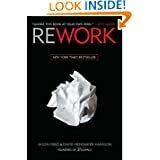 The Challenge: Built to Last, the defining management study of the nineties, showed how great companies triumph over time and how long-term sustained performance can be engineered into the DNA of an enterprise from the very beginning. But what about the company that is not born with great DNA? 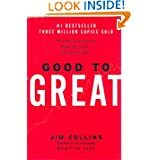 How can good companies, mediocre companies, even bad companies achieve enduring greatness? Sweet list! Hard to argue with anything. 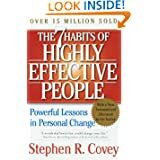 A bit surprising to see ‘The Lean Startup’ left off the list, but any list with Stephen Covey is a winner. Having been self employed since 1980, I either have or have read nearly all of them but I haven’t of 6 of them. What criteria were used to choose them? Trudy Van Buskirk recently posted..Boomers: What inspiration do you have as an entrepreneur? I like the list Carissa. I’ve read a number of these books but still have a ways to go before I finish your whole list. Like Micky said, I would also add “The Lean Startup” to the top 10 since I believe that it has a number of powerful methods that can be applied instantly to any small business. Thanks for the great info! I picked that one up very recently and I only wish I had something like this to reference 10 years ago.